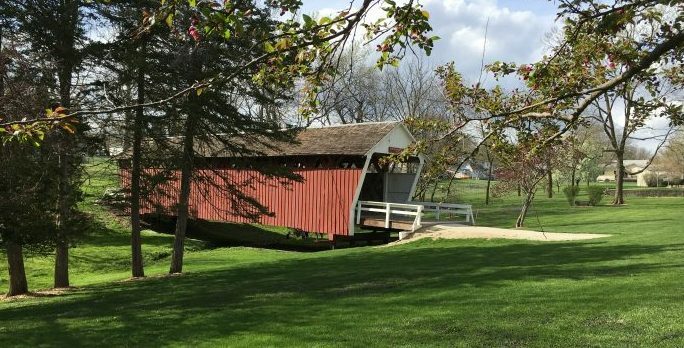 10 am-noon: William Cotton will display art work and discuss his published books about Iowa. 10 am-1 pm: Brad Hansen will display and demonstrate wood carving. 10 am-2 pm: Laura Ingram will demonstrate painting techniques. 10 am-5 pm: Kathy Wonderlin will create and discuss book construction and mixed media techniques. 11 am: Guided walking tour leaves the art center headed to Carver Park. Carol Liechty will lead the way, discussing George Washington Carver and the Community Artwork that now resides in Carver Park. 12 pm-4 pm: D. Nichole King will showcase, read, and discuss her published books. 12 pm-4 pm: Kathy Wonderlin will create and discuss hand bound journals and mixed media collage projects. 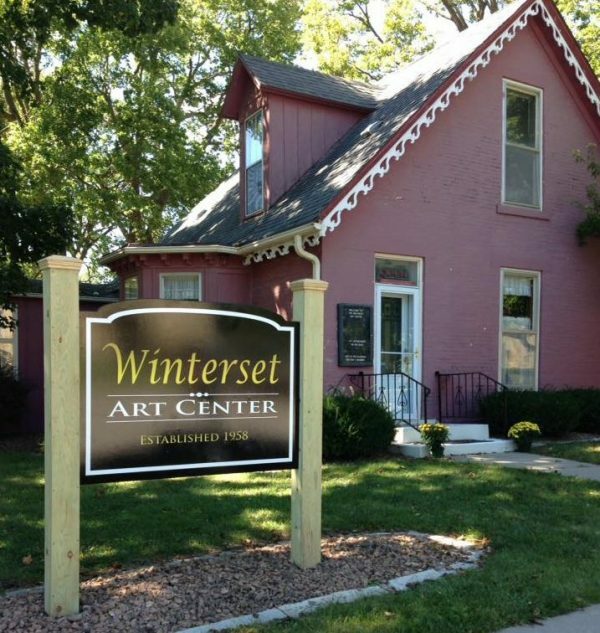 A new sign has been installed at the Winterset Art Center to welcome guests. Looks great! The Madhaus Gallery studio will be open and will feature some guest artists, with demonstrations in glass blowing, basketmaking, enameling, and printmaking. 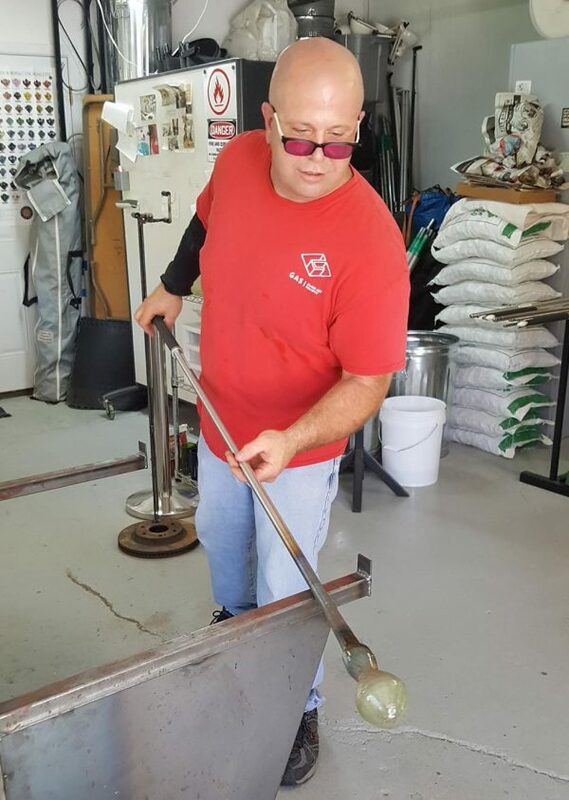 Special note to Chamber members: Madhaus is hosting Friday’s Chamber Coffee, and you can get a sneak peek of the weekend’s events, plus a tour of the new glass studio! 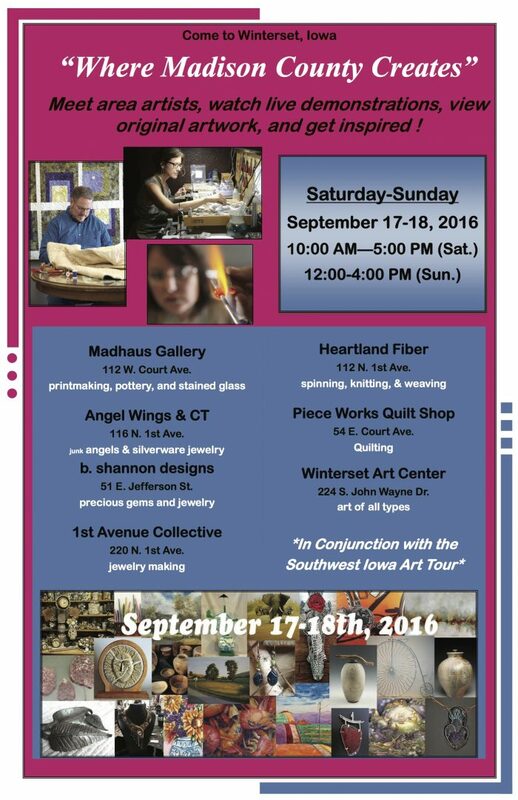 Guest artist John Krizan will demonstrate glass blowing in the hot shop at Madhaus Gallery this weekend. Nicole Kems, owner of Angel Wings and CT, will demonstrate the process of junk angel designing, silverware jewelry making, and answer questions about heirloom preservation. 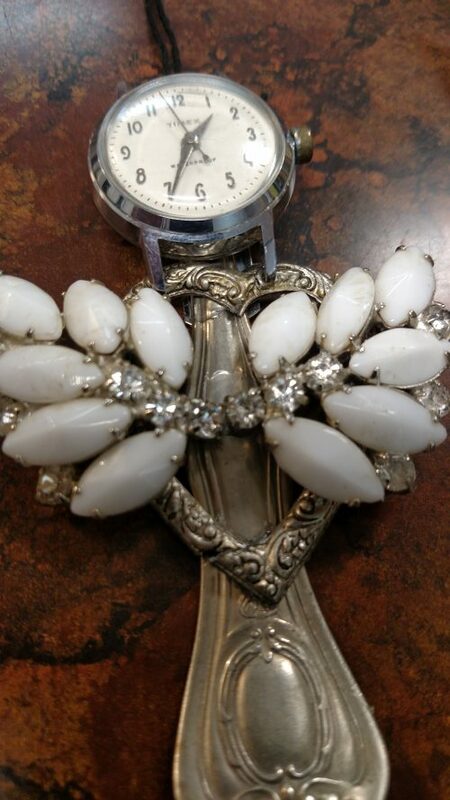 Find out how you can turn grandmother’s costume jewelry into a new wearable or home decor item. Re-purposing with an elegant twist at Angel Wings & CT! 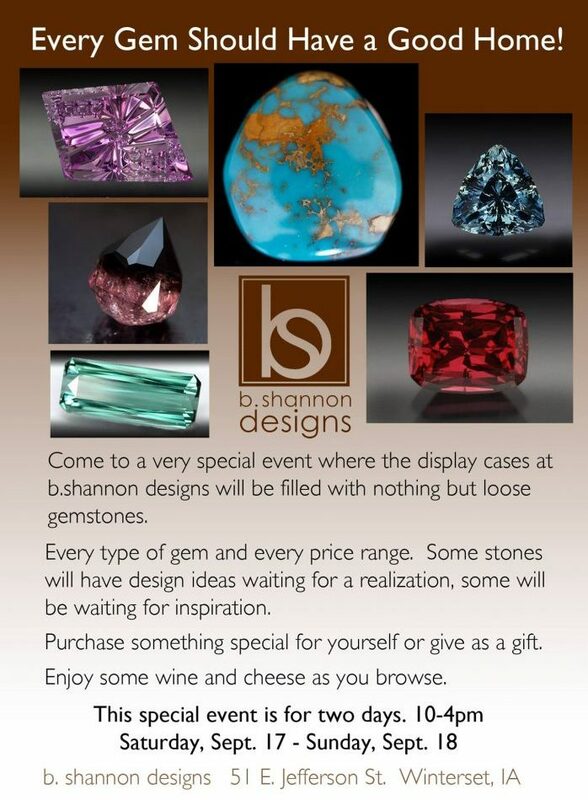 b.shannon designs will be featuring loose gemstones just waiting to become your next favorite piece of jewelry (or the perfect gift). 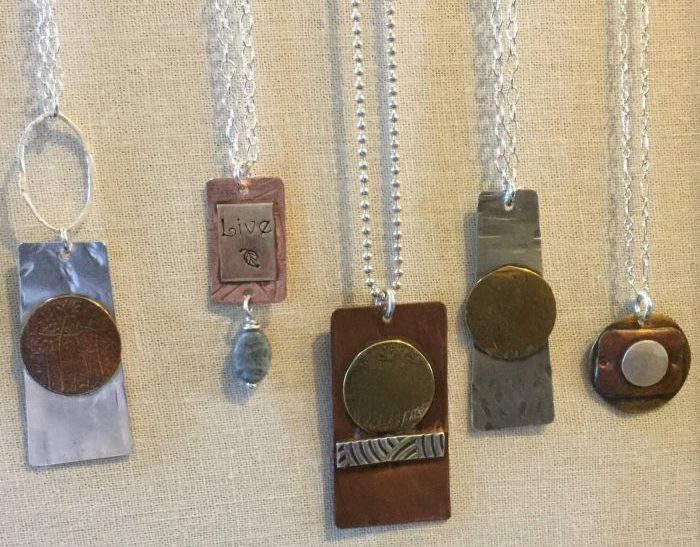 At 1st Avenue collective (located in the old Madison County Jail), Gina Crow and Sandra Geronimo will demonstrate different jewelry techniques working with copper, brass and sterling silver. 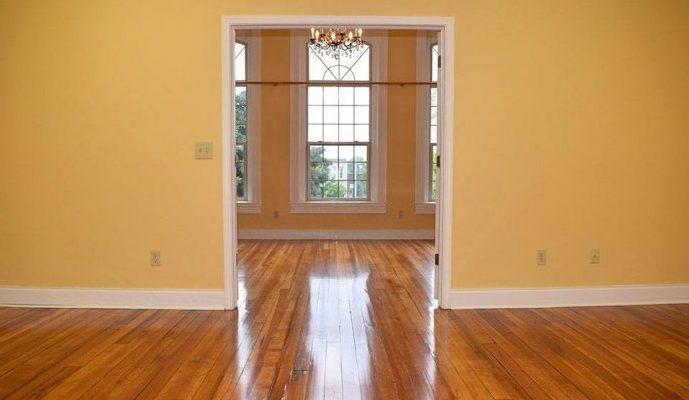 Heartland Fiber will demonstrate spinning, knitting and weaving, and Piece Works Quilt Shop will be showing off their newly renovated studio spaces on the second floor of their historic building. This is what it now looks like above Piece Works Quilt Shop — another great renovation of a historic building on our square! It is not necessary to register, but the first 100 people who do register, for free, to participate in the Where Madison County Creates tour will receive a gift bag at the Chamber office filled with make-and-take items to finish at the various locations, coupons, and more. The registration link is available here. Hope to see you there! 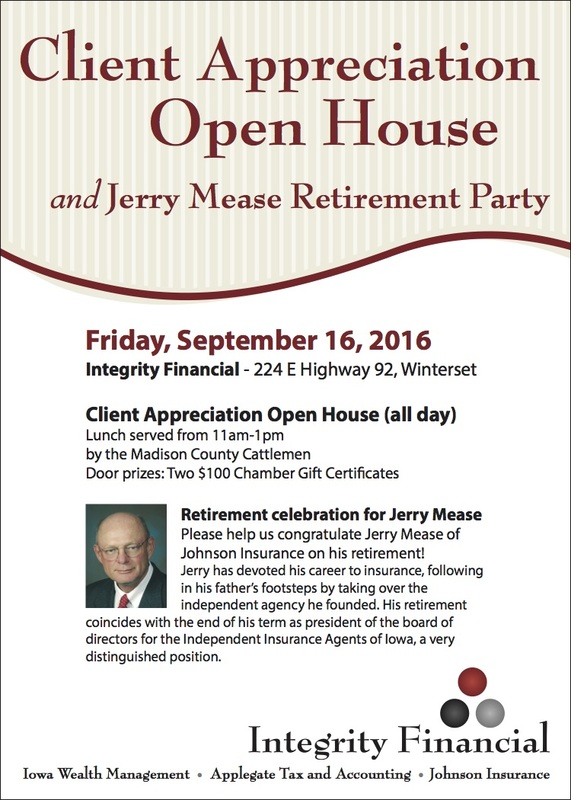 On Friday from 11:00 am to 1:00 pm, Integrity Financial is hosting a Client Appreciation Open House and retirement party for Jerry Mease, who is officially retiring from a great career in insurance. Congratulations, Jerry! Re:home is open today through Saturday, with lots of fall items included in their 3rd Anniversary Tailgate Party. You can see lots of wonderful photos on their Facebook page. 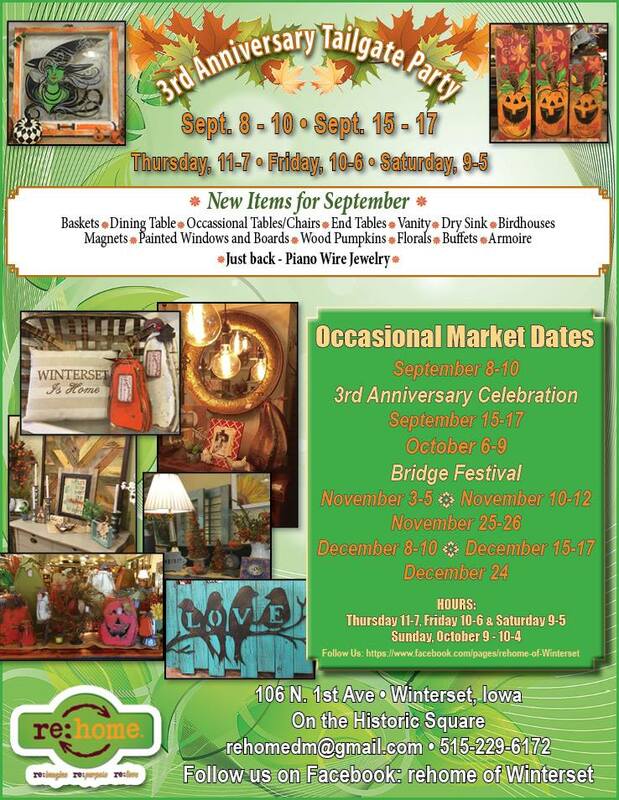 As you’re making the rounds this weekend, be aware that this Saturday is the fall Citywide Garage Sale, hosted by the Winterset Shopper/Madisonian. Lots of sales are starting on Friday, also. A complete listing of addresses is located in the Shopper, with a map. 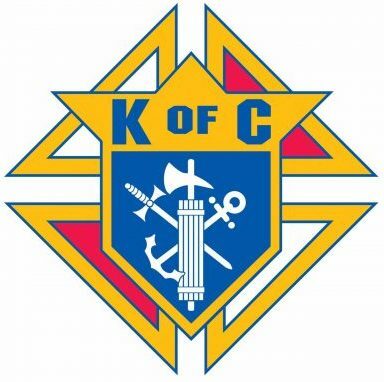 Also, if you happen to drive through the north 4-way stop (by Hardees) this Saturday from 8:30 am – 1:00 pm, members of the Winterset Knights of Columbus will be at the intersection asking for donations in exchange for their signature Tootsie Rolls. The proceeds from the Tootsie Roll Drive benefit a lot of special people in Madison County and the State Special Olympics Program. Thank you for supporting this effort! 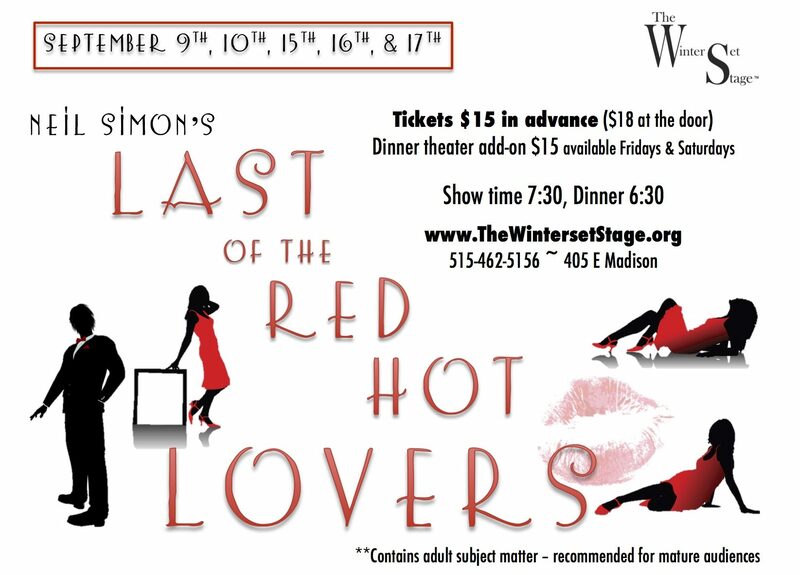 “Last of the Red Hot Lovers” will have 7:30 pm performances at The Winterset Stage on Thursday, Friday and Saturday evenings this weekend. It stars Jon Barrett, Heidi Bibler, Summer Hansen and Meredith McKay, and is directed by James Serpento. 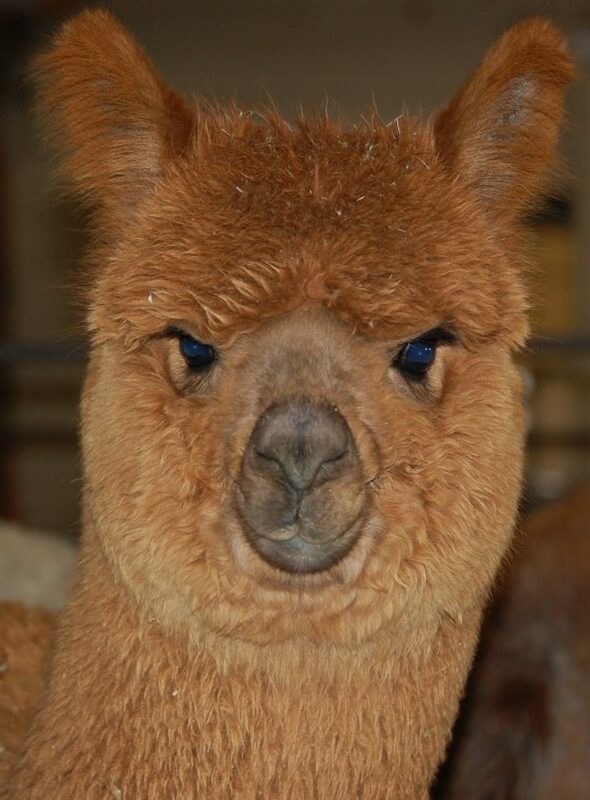 The public is invited to Alpaca and Llama Farm Days at Rusty Stars Alpacas, 2054 Rustic Lane in Winterset, on September 24th and 25th from 9:00 am to 4:00 pm. This is a great opportunity to bring the family to see alpacas and llamas and learn learn more about them. Sunlight Harvest Alpacas and Rustic Ridge Llamas are joining Rusty Stars Alpacas for this fun weekend event. Looking for alpaca products? Shop their new store full of hats, gloves, scarves, socks, gifts and raw alpaca fiber! You can also find them online at www.rustystarsfarm.com. 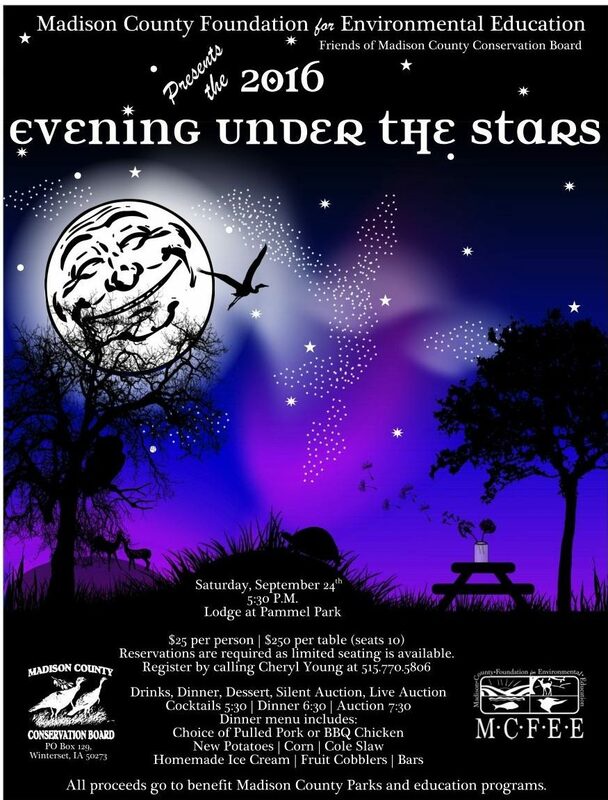 Call 970-214-6103 for more information. Learn about these unique and interesting animals during Alpaca and Llama Farm Days on September 24th and 25th at Rusty Stars Alpacas!